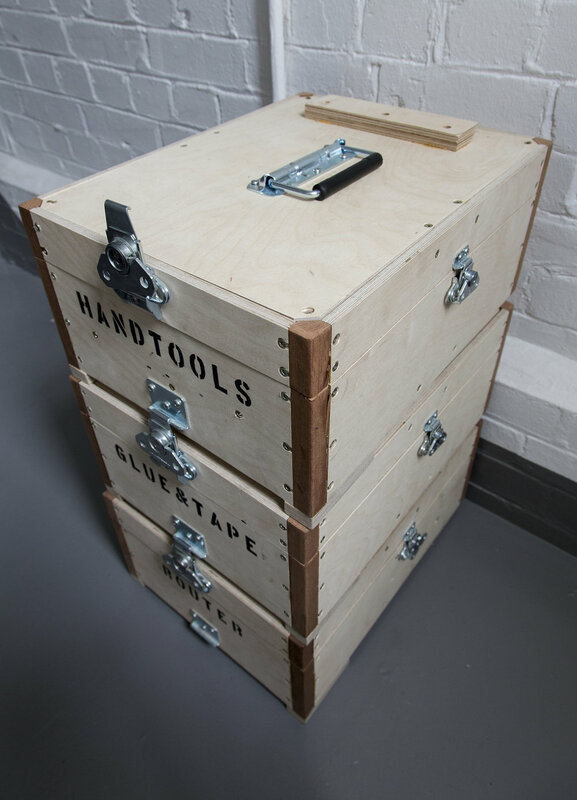 A bespoke set of tool storage cases that stack and clip together allowing two or three to be carried per hand. 20 cases were made from two sheets of birch plywood, two boards of sapele and a selection of flight case parts. 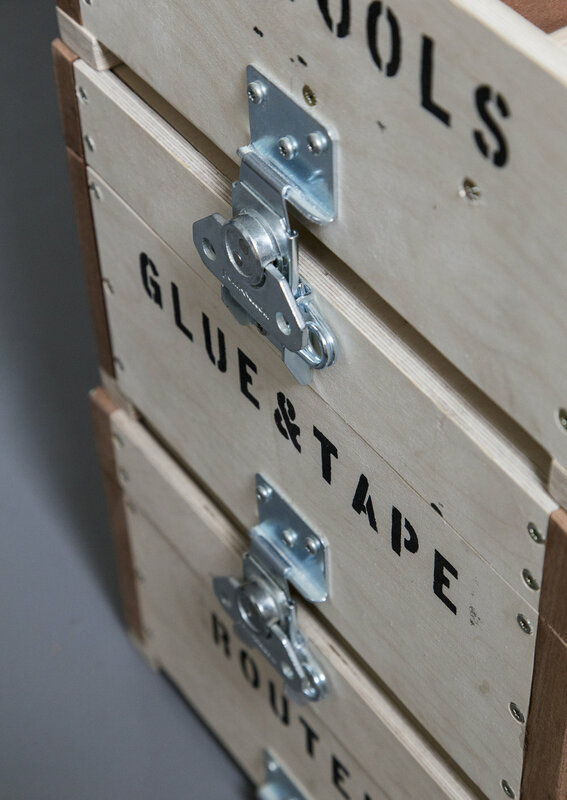 Each case has internal compartments that have been customised to fit around the tools they hold.